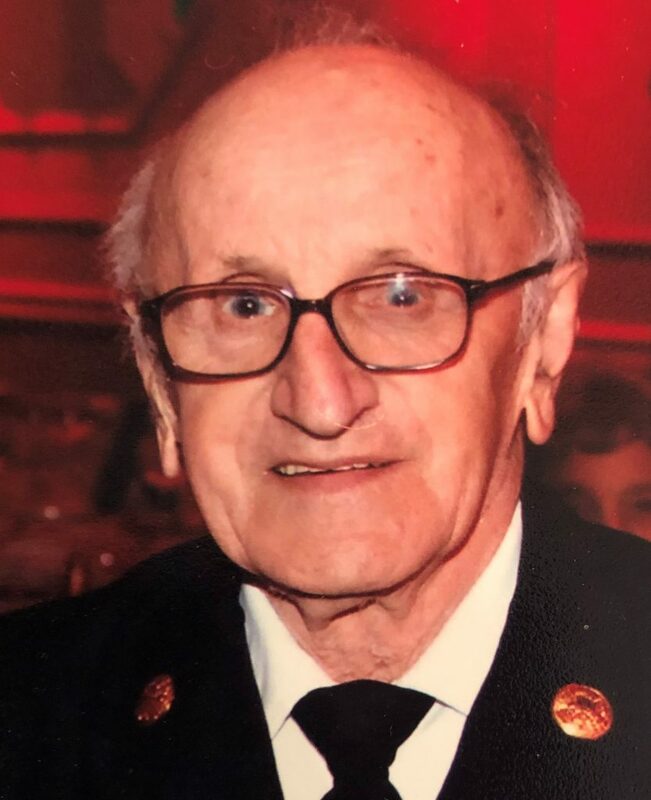 Arthur A. Bodrato, “Artie”, 93, of Northvale, passed away surrounded by his loving family on Sunday, March 31, 2019. Devoted husband Waldine for 66 years. Cherished father of Briant and his wife Kathleen of Northvale. Adored grandfather of Ashley and Christopher. Dearest brother of the late Elmo, Frederick and Joseph. Artie was a US Army Veteran of WWII. He was a retired plumber and was a member of Plumbers Local 24 and was always there to lend a hand to a friend in need. He was a life member of the Northvale Volunteer Fire Association and served for 72 years, rising to the rank of Lieutenant. He served the association as financial secretary for many years and was past president of the exempt association. Artie was also a member of the American Legion Joseph Silva Post 366. Artie was a parishioner of St. Anthony’s RC Church, Northvale. A Funeral Mass will be celebrated at St. Anthony’s on Friday 11:30 AM with interment to follow at Rockland Cemetery, Sparkill, NY. Visiting hours are Wednesday 7-9 PM and Thursday 2-4 & 7-9 PM at Pizzi Funeral Home, 120 Paris Ave, Northvale (201-767-3050). In lieu of flowers donations may be made to the Northvale Volunteer Fire Department, PO Box 101, Northvale, NJ 07647.